A while ago, I picked up a bunch of Leahlani skincare products. Leahlani is an indie skincare brand that hails from Hawaii, made with natural ingredients and with a holistic slant to the brand and its products. I told you before about their most popular product – the Leahlani Mermaid Mask. But there was another one I came across, that received a lot of raves – the Leahlani Siren Serum. Naturally therefore, I was very curious. I am always up to try something that promises skin radiance. But Leahlani says that they will lure you in with the scent that is of pure Hawaiian sunshine. I have never been to Hawaii, and I’m not sure what their sunshine smells like, but I’ll tell you about it a little further on. The first thing I have to say is that I love the texture. It is a blend of oils, and feels very lightweight in texture. It isn’t very oily, and it does absorb quickly into the skin. Best to apply it on damp skin, so mist before applying. Because it is a blend of oil and other ingredients, there will be some separation if you leave it alone. For this reason, shake it up to mix, before pumping out to use. I use one pump. It doesn’t look like very much, but it is enough. It has an oil feel, remember, so if you use too much, it may feel heavy for those who are unfamiliar with using a facial oil. The immediate feeling on my skin is one of relief. My skin feels lovely and hydrated and plumped (I attribute this to the sea buckthorn oil) and it feels very comfortable. To be honest however, I don’t quite notice much radiance boosting, when I use this product on its own. I was using it for a while a few months ago, but my main takeaway from the Leahlani Siren Serum is that it makes for nice facial oil serum, that leaves my skin feeling hydrated and comfortable. Does it regenerate? I don’t know. How do you measure these things at home? My skin feels nice, that much I’d agree. It feels nourished. But I do wonder if it is also because this is just like a facial oil for me. Facial oils that have good blends, tend to make my skin feel this way. It has a light texture, that feels almost similar to the Trilogy Beauty Oil (if you have it, then you will have an idea). But one thing allows the Leahlani Siren Serum to stand out – the scent that they say lures you in. And it will, because it is quite strong. Now, to me, this either a scent you’d love or that you’d prefer if it was lighter. I fall into the latter category. The Leahlani Siren Serum, to me, smells of orange sherbet. It has a strong citrus scent that feels almost fizzy on the nose. Again, this is pleasant for most. 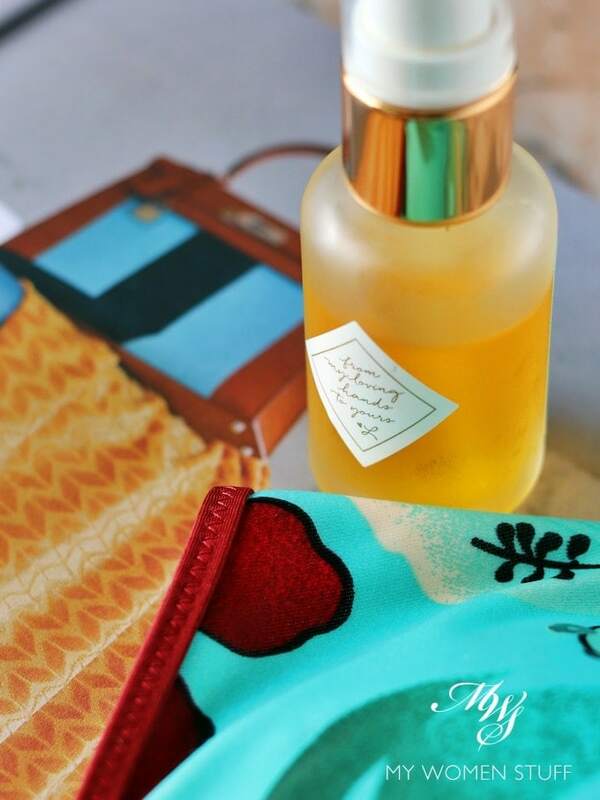 Almost every review you read will wax lyrical about how lovely and uplifting the scent it. For me, and my sensitive nose, I do find myself wrinkling my nose each time I use this, because I don’t quite like the fresh-squeezed orange smell on my face. I don’t mind earthy scents, herbals scents or natural murky scents. But floral and fruity scents on my skin don’t sit well with my senses. This is a personal preference, so it shouldn’t influence your decision. But it bears mention. For me therefore, I’m afraid I never quite saw much improvements from using the Leahlani Siren Serum. It is a very lovely facial oil. It leaves my skin feeling hydrated, soothed and plumped. My skin feels and looks lovely when I use it. I don’t like the scent however, so I’ll use it up, but not repurchase. The Leahlani Siren Serum is supposed to be a radiance boosting serum. The texture is that of a lightweight oil that absorbs readily into the skin (preferably use it on damp skin) and does not feel greasy. I find that my skin feels softened and hydrated. But I don’t particularly notice its radiance boosting qualities. I much prefer using a Vitamin C serum for that purpose. So, I’d pair this oil with a Vitamin C serum. It also has a very strong citrus scent that can be either a bit too sweet, or refreshing, depending on your scent preferences. It is a nice serum. But I’m not quite sure that it actually boosts skin radiance. For those interested in what’s in the Leahlani Siren Serum, here’s the ingredient list. Do note that citrus essential oils can irritate sensitive skin, so if your skin is particularly sensitive, you might want to be cautious about using this product. Have you tried this Leahlani Siren Serum? What say you? PREVIOUS POST: Vitamin C is found in oranges but be warned, Paula’s Choice Resist C15 Super Booster smells nothing like oranges! Personally, I didn’t like this serum at all. Although it is said to contain micro algae to boost cellular energy and promote new cell growth, the consistency of it is quite greasy for the serum and the smell is not pleasant. I totally agree with you than Vitamin C serums are much better!